Casa Limiar serves vulnerable children that are brought into the home through the judicial system who have suffered ill-treatment, abandonment, living in situations of risk, among other reasons and are sheltered until they can be reintegrated with their families, adopted, or age out of the program at the age of 18. In operation since April 2003, Casa Limiar, managed with the support of the City of São Paulo, has the capacity to serve approximately 20 children and adolescents ranging in age from newborn to 18 years of age, coming from situations of social vulnerability. In order to provide a healthy family environment, the shelter provides all the basic needs, ensuring all children maintain a routine according to their age group, including participation in the life of the local community through attendance in public school, preschool programs for the toddlers, other educational, cultural, sports, and leisure activities. They also assist the teens with initiation of professional activities. Casa Limiar also provides medical, psychological, dental and pharmaceutical care using the public health system. Criança Brasil is an educational day care for 340 small children aged from 6 months to 4 years, and an after school program for 240 children from age 6 up to 15 years old. It was founded in 1987 by Liana Borges and is currently run by an active volunteer Advisory Board and Board of Directors. Criança Brasil supports 580 children in the neighborhoods of Jardim Panorama in Morumbi, Real Parque and Vila Dalva and depends on its volunteers for day-to-day expenses and on financial support for added value programs such as physiological psychological support, computer and art programs and cultural outings. Helen Drexel is an organization which maintains seven independent homes for neglected and abandoned children, from 1 to 18 years of age. Founded 35 years ago by Father John Drexel and a group of friends, this entity is maintained solely through donations and fundraisers. Currently, 49 kids, all referred by Social Services and the Juvenile Court, live in each of the 7 homes with their social parents. 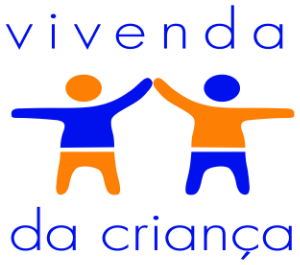 The mission of Vida Jovem (VJ) is to serve young people, ages 14 to 17, and their families in a situation of social vulnerability, offering them complementary education and professional training for full social development. Courses include, among others, Administration with emphasis in Hotel Management and Tourism, Computer Maintenance with CISCO System certification and Web Design. In its 30 years of existence, the work carried out by VJ has brought hope and self-esteem to hundreds of young people of the community every year, as well as greater autonomy and responsibility, showing the capacity they have to fulfill and grow as citizens. Our Campinas Chapter has chosen a charity local to Campinas members. This is a community center that provides crucial educational assistance, career training, and social guidance to 480 at-risk youths in Campinas. Established in 1981 by Jade Sieh, Chinese-American Sociologist, the NGO was originally designed to help women in Campinas escape prostitution. Sieh quickly learned that most of the prostitutes were from Jardim Sao Marcos, and after acquainting herself with the community, shifted her focus to prevention. Grupo began offering continuing education and vocational programs to the school age girls in the community. The program eventually grew to serve 141 girls, however, government funding was suspended until Grupo agreed to accept boys into the program. Grupo agreed and the agency now provides education and training to girls and boys of the Jardim Sao Marcos community. It is an award-winning community center serving children and young adults from age 4 to 18. Here, not only are children fed, they are inspired to live a dignified life by spending non-school hours participating in activities such as art, soccer, drama and dance classes. They also offer quiet time in the library to support academics and encourage the pleasure of reading. Projeto Sol began in 1982 when Sister Angela, an american nun, and Luis Carlos dos Santos, a social worker, opened a small activity center in a shack located in an Interlagos "favela". The center was developed to offer an alternative to juvenile delinquency and a life of drugs and violence found in this neighborhood. The whole community enjoys performances, games and socials hosted by Projeto Sol. Some children who have attended Projeto Sol are university graduates and some have returned as teachers. The new center was inaugurated in March 2008 to better serve the community. What is Vivenda da Criança? Vivenda da Criança is a community center located in Parelheiros, in the outskirts of São Paulo. The community center receives some government funding and runs three programs: the “Social Education Program” (Programa Sócio Educativo), which offers complementary schooling to 150 children, ranging from 7 to 14 years old; and the “Family Action Program”(Programa Ação Família), which provides social assistance to more than 1,000 local families, and “Project Transformation”(Projeto Mutação), which provides computer training and other classes to help young people enter the job market. The institution was founded almost 20 years ago by Sister Ivonne, a Franciscan nun, who started Vivenda as a home for boys she encountered living on the streets in the surrounding neighborhood. As the needs of the community changed over the years, Vivenda has adapted to a center that serves a much larger portion of the community. Sister Ivonne has recently retired from operational management but remains on the board of the directors.